Exclusive Offer: All new patients receive a FREE Exam and X-rays. Call us at: 425-337-3462 to schedule your appointment! Chiropractors diagnose and correct biomechanical disturbances which often are the cause of specific health issues. Dr. Stringer has over 30 years of experience using drug-free, non-surgical, 'state-of-the-art' methods to return your body to balance. Massage therapy offers a natural treatment approach which relieves musculoskeletal pain for many patients. Our office provides patients with specific massage and muscular therapy that is complimentary to their chiropractic care. A key component of traditional Chinese medicine, Acupuncture seeks to balance the flow of energy — known as chi — in your body. 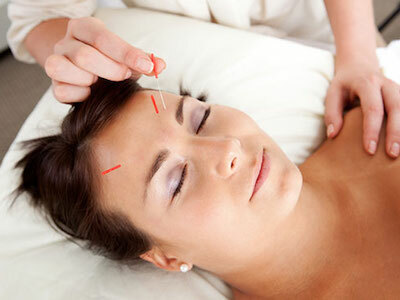 Commonly used to treat pain, it is increasingly being used for overall wellness, including stress management. Dr. Chuck Stringer is a chiropractor serving Everett and the surrounding communities. Our chiropractor and the rest of the friendly team at Stringer Chiropractic & Massage are dedicated to providing chiropractic solutions to target your unique needs, whether you are suffering from back pain, neck pain, headaches, or even just plain old muscular tightness and tension. You may need pain relief after suffering an accident, experiencing an injury, or if you have a specific condition such as chronic back pain or a spinal condition. Even if you just want to improve your overall health, our chiropractor can help you achieve your wellness goals! At your first visit to Stringer Chiropractic & Massage, Dr. Chuck Stringer will explain the science behind how chiropractic care works, and give you a full evaluation to see if chiropractic care is right for you. If there is a good fit, we can develop a plan of chiropractic care that is specific to your condition and health goals. If you are new to seeing a chiropractor and want to find out more, please email us or call (425) 337-3462 to receive personalized answers to your questions from our friendly team. We also welcome referrals, so feel free to use the "Send to a Friend" link located at the bottom of every page to share our health information with your friends and loved ones. If you would like to stay informed about modern chiropractic care or if you want to start receiving free articles about health and wellness news, please subscribe to our newsletter (also at the bottom of the page), even if you are not a patient. At Stringer Chiropractic and Massage, you are always in good hands. Your Chiropractor will carefully choose the right treatment to best resolve your problem or injury. Take the first step to a healthier and better life today. A study published in the Human Journal of Hypertension showed that a chiropractic adjustment could give people suffering from high blood pressure the same effect as taking certain high blood pressure medications, and that the effects of the treatment could persist for 6 months after the adjustment. Adjustments have also been shown to help patients suffering from low blood pressure as well. Sciatica is pain that radiates from your lower back down your legs because of a damaged or pressured sciatic nerve. This type of chronic pain so prone to over-medication. 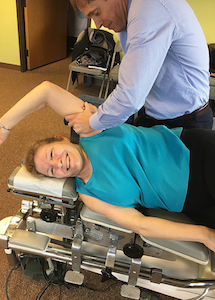 Studies show that chiropractic treatment can help relieve pressure on the sciatic nerve and reduce both the number of pain days patients have as well as a reduction in the severity of their pain.